Most of us high school students were born a year or two before or after the 9/11 disaster. Many of us have probably heard stories from our parents about what they were doing when they heard the news. Some of us may also have relatives or family friends that were severely impacted, hurt, or lost their lives because of the incident. 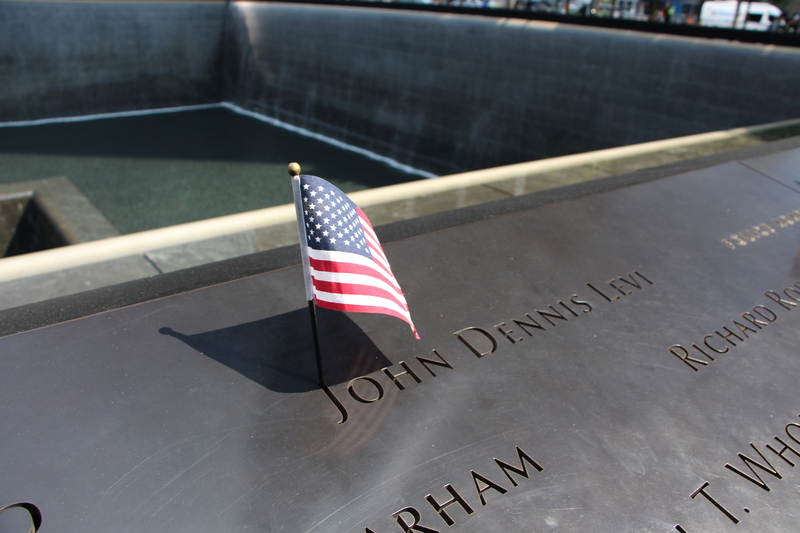 My family was one of the many that were affected by the events of September 11th. I grew up going down to Ground Zero every year on September 11th. I remember being a small child and going when the memorial wasn’t even built yet, when it was just a small fountain in a site of destruction with a huge line of sobbing family members and friends wanting to get to it so they could leave flowers and pictures of their loved ones. I would see my family in deep sorrow and my mother and older sister (who I almost never saw cry) shedding tears. When I was small, I just saw it as a way to get out of school for the day, but now that I’m older, I better understand and appreciate the importance of why we go every year. There are countless stories from the day about survivors and people sharing memories of who they knew that passed. I would like to share one about the amazing man I grew up hearing stories about and who I look up to the most of all, even though I have never met him: my grandfather, John Dennis Levi. He was a tall, tattooed man, born and raised in Brooklyn, New York, who loved to ride motorcycles. He was a police officer for more than 20 years and worked for the Port Authority Police Department in New York City. He had a great relationship with his two kids and granddaughter. He was good at what he did, earning several awards and commendations throughout his years as an officer. He made several important arrests and appeared in the newspaper several times. On the morning of September 11th, 2001, my mother, Jen Levi, was working for the Navy, but was off for the day because she had worked through the weekend. She was 25 at the time. Her daughter (my older sister) was 5. She was watching the Today Show when the program was interrupted to inform viewers of the breaking news: a plane had just flown into the World Trade Center. My mother called my grandmother, who was at work. A tv was on in the waiting room at her job, and she was watching the broadcast. My parents and grandmother watched in horror as minutes later the second plane hit. My mother was incredibly worried and scared. She and my grandmother, Deborah Huddy, knew that my grandfather was down in the area. He had won an award for valor and bravery for the work he did when the World Trade Center was bombed in 1993, so they knew that he would be one of the first to volunteer to help. When they saw the first plane hit, they assumed it was a terrible accident. When the second crashed, they knew we were under attack. My mother’s first thought was worry about my grandfather. My grandmother wondered how long someone could survive trapped under the rubble and destruction. She thought about how they would find people alive during the search and rescue operations. The Port Authority was in charge of the World Trade Center, so when they found out it was under attack, my grandfather and a group of other officers commandeered a bus and drove down as quickly as the y could. In a memorandum written by William Ross, an officer and survivor who was in the group that my grandfather was in, stated that “there was a huge hole in the north side of the North Tower. The upper floors had a very heavy smoke condition with visible fire in certain areas. The people on upper floors, that were trapped, had broken the windows, in an attempt to gain fresh air. Numerous people were falling or jumping to their deaths”. He later said that he “did not want the officers to go in there in an attempt to affect a rescue and become trapped”. He discussed what to do with the other sergeants and said: “Inspector Fields stated that a Sergeant and four officers were needed to volunteer to go into the building.” My grandfather didn’t hesitate and volunteered. Later, Ross said that he “responded to the Command post and gave the names of all the support and officers that were now at this location. [He] told the officer that everyone from the bus terminal was accounted for with the exception of Sgt. McLoughlin and Police Officers Levi, Jimeno, Pezzullo and Rodriguez”. He recorded the last time my grandfather was seen or heard from. He was last seen in the courtyard area assisting in rescue operations. He rescued and helped countless people. When he wasn’t heard from or accounted for in the following days, my family was forced to accept that he had perished in the line of duty, assisting people till the very end. 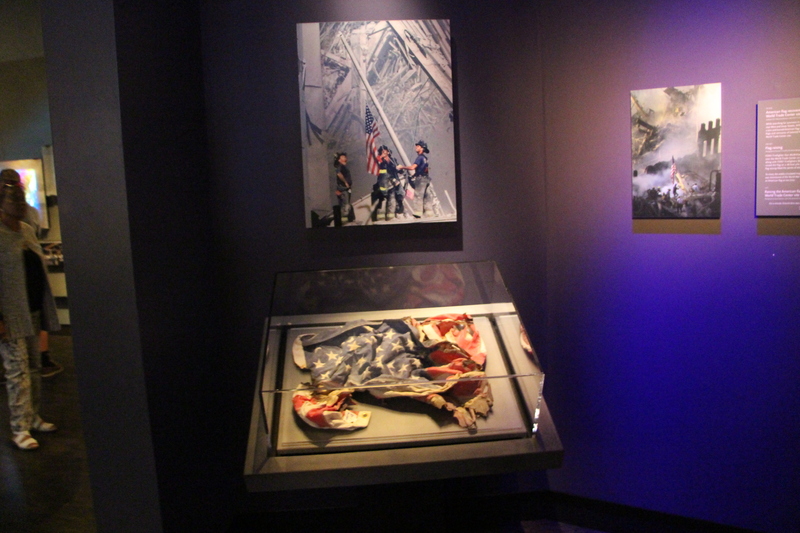 His body was recovered from the courtyard in between the towers on December 7th, 2001. Two memorial services were held in his honor, one on November 3rd and another on December 12th. My grandmother says that she talked with friends and co workers about the incident and said that it was difficult and interesting to see how so many people processed grief and loss of loved ones. There are several letters from survivors sent to my mother and my family thanking my grandfather for his service and saying that he had saved their lives. He was the reason they got out of the building. This is why every year I go with my family to visit the memorial and the museum. Every year I learn more about what happened and hear more stories from survivors. 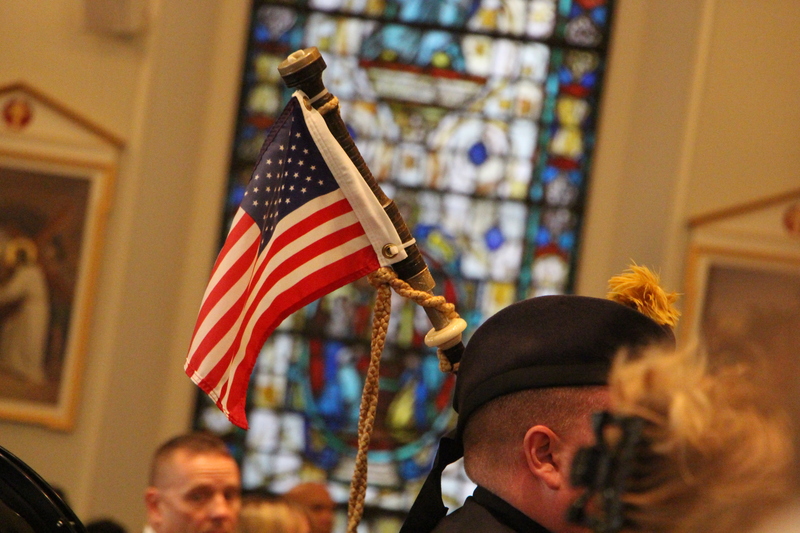 We go to the memorial and then a church service that honors the Port Authority Police Department. My mother, my younger sister and I all have matching necklaces with his badge number, and my older sister has a tattoo on her arm of his badge number with angel wings. My grandfather had had her name tattooed on his wrist. I have also been to the 9/11 Memorial in Washington D.C with his name on it. He was a hero who answered the call along with the many other brave officers who responded to the attack, including the 36 other members of the Port Authority Police Department who were killed. A total of 2,996 people died on that day, including 70 police officers, 343 firefighters and 8 emergency medical technicians and paramedics. These heroes did everything they could to get thousands of people out of the buildings to safety, and it cost many of them their lives.